Join us at 6 pm on Friday the 5th of April for an art exhibition with a twist: free hand-poked tattoos! 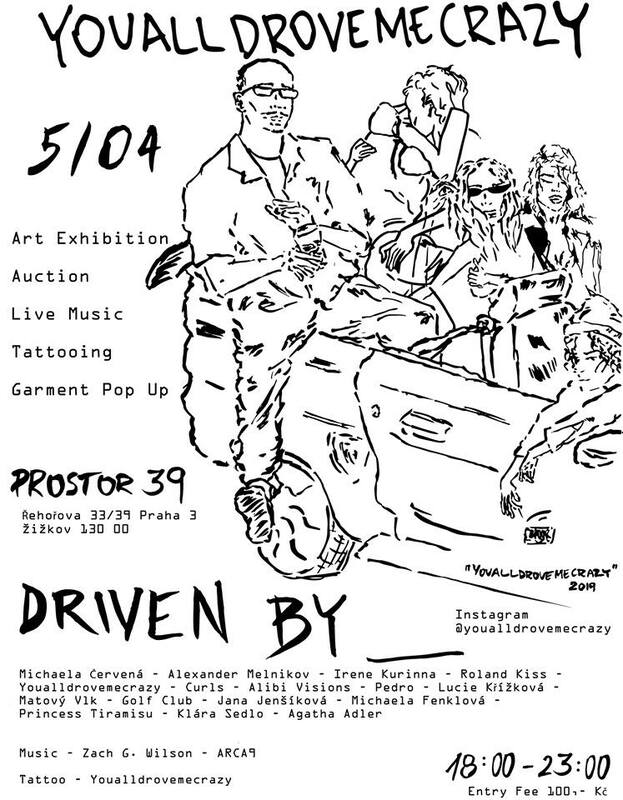 The creative company “YouAllDroveMeCrazy” will make its Prague debut at Prostor39 in Zizkov with the interdisciplinary art party to remember. Pieces of fine art and original clothing designs will be exhibited and auctioned off at the end of the night. All guests will have a chance to get a hand-poked tattoo free of charge. Live music and drinks will accompany the creative atmosphere of the evening. “YouAllDroveMeCrazy” aims to help up-and-coming artists from Prague, London, and Moscow in their artistic pursuits. Photographers, painters, musicians, designers, and tattoo masters will gather for an evening of art and fun that you wouldn’t want to miss. All of the purchases inside the event have to be made in cash. Tickets can be purchased at the door for 100czk. The profits gathered will be donated to a children’s charity and the artists contributing to the event. Be there on Friday and see how much fun supporting the arts can be!